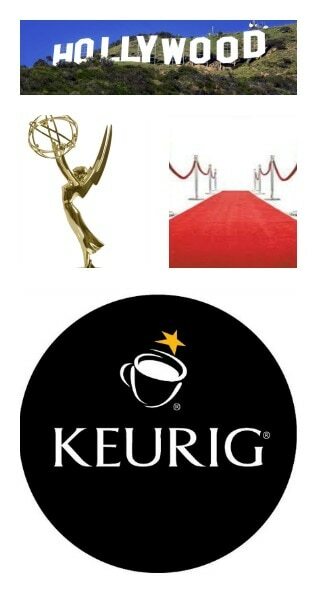 Lady and the Blog → Personal Blog → Heading To LA To Attend The Emmy’s Red Carpet With Keurig!!!! Heading To LA To Attend The Emmy’s Red Carpet With Keurig!!!! I’m so excited to announce that this weekend…………. I will be flying out to LA for a few days thanks to Keurig. They invited me and my partner Audrey McClelland to attend the red carpet premiere of the 66th Prime Time Emmy’s! How exciting!! We are going to meet up with three additional bloggers and have been given a few hints about our schedule. One includes an “adrenaline flowing morning” (mama I’m scared) and the other is an “afternoon of pampering” (more up my alley). We were offered the chance to use Rent the Runway – a service that allows you to rent designer dresses for less. I chose two different looks but am super nervous about whether or not they will fit! So, today I am going to pick up a back up dress just in case. I don’t want to be stuck the day of the Emmy’s with nothing to wear. That would be a DISASTER. Anyway, I plan on taking LOTS of photos and video – so LOOK OUT. Audrey and I have an entire run of show scheduled. LOL! Hopefully, we can squeeze it all in.